If you head to Arts Centre Melbourne this winter, you and your family are in for a whale of time! 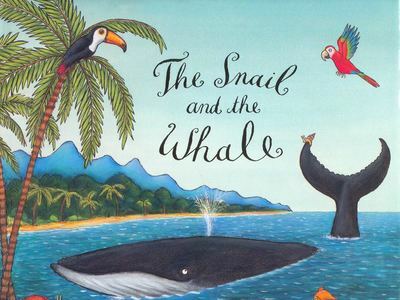 The much loved children's book The Snail and the Whale has been adapted into a family stage show, and will perform at Arts Centre Melbourne’s Playhouse stage from 29 June – 10 July, 2016. The delightful tale, written by children's author Julia Donaldson and illustrated by Axel Scheffler published in 2003, follows a little snail who wishes to see the world. To achieve his dream, the tiny snail hitches a ride on top of the tail of a humpback whale. Together, the two unlikely friends take an amazing journey across the seas, experiencing sharks and penguins, icebergs and volcanoes along the way. What happens when the gigantic mammal gets beached - will the tiny snail save the day? Tall Stories is the production team behind The Snail and the Whale stage performance. The production team is perhaps best known for their fabulous interpretation of the Gruffalo and Room on the Broom live on stage. This Tall Stories’ adaptation was inspired by the work of Storybook Soldiers, who help British military personnel based overseas record bedtime stories on to CDs for their children back home. The amazing journey of the tiny snail is seen through the eyes of a very adventurous young girl who would love to be travelling the world with her seafaring father. Tall Stories' performances are known for their unique storytelling stage shows, each with a healthy mix of live music and on-stage antics to entertain young families. The lively British theatrical cast use an electric viola with an effects pedal throughout the performance.